An au pair is a young person from abroad, experienced in working with children, who hopes to improve their knowledge of French language and culture by living completely immersed in French family life. You are expected to welcome this person into your home as part of the family for an agreed period of time. You will provide your au pair with their own bedroom, cook them meals and help with their laundry. In exchange they will look after your children and contribute to daily family life. It is not your au pair’s job to do the housework, but rather to help with certain chores which are related to childcare. Think of your au pair as a big brother or sister to your children. Your au pair’s role is to help you to look after your children and to lend a helping hand with household chores related to childcare. By law, an au pair’s working hours are limited to 30 hours per week. You must accommodate your au pair for free in their own private bedroom. The host family must draw up a work timetable: this must only include tasks that are related to caring for your children. The au pair must have at least one and a half days off per week and must receive a weekly allowance. You must also ensure that your au pair has some free time during the week to enable them to take French classes. Include your au pair in everyday family life, consider them as a member of the family rather than a household employee. Your au pair’s payment: an allowance starting from €80 per week. €6 per each additional hour. Please note: The minimum wage for an au pair is decided by the French Union of Au Pair Agencies, of which AFJ is a founding member. Placements are available all throughout the year depending on our availabilities and the au pair’s nationality. Why Host an Au Pair with AFJ ? We help you for free to put together your dossier. We won’t ask you for any subscription fees or payments during the registration period. 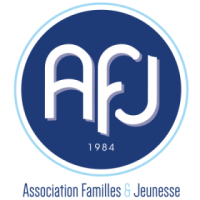 AFJ is a founding member of the UFAAP and the IAPA and is thus committed to respecting the quality policy of these organisations – a quality guarantee for your placement. The AFJ team is available every day of the week, throughout the entire duration of your au pair’s stay. AFJ keeps in touch with both you and your au pair througout the entire duration of the placement. In the case of conflict and if the contract has been respected, we will offer you a replacement au pair free of charge. We put you in contact with the candidates whose profiles have all been checked by us and our agents abroad. 1. Contact us or sign-up online to receive a registration form. Click here to register. 2. Fill in your dossier. 3. Finding your au pair: we will send you the profiles of the au pairs who meet your criteria and are best suited to you based on your family dossier. 4. Found a profile which interests you? With your permission, we will send your dossier to the candidate. 5. If the candidate is also interested in your family dossier, organise a Skype interview to get to know the candidate. 6. If both sides agree, the au pair placement will be finalized and you can sign the hosting contract. 7. If the au pair is from outside the EU, our agency will help you with the required paperwork for your au pair to get their visa (this process can take up to 2 months). 8. Take out an insurance policy for your au pair. 9. Arrival of your au pair.